The time for Reef Check Florida is now, surveys will be conducted in the very near future. My dive computer say's its hot.. 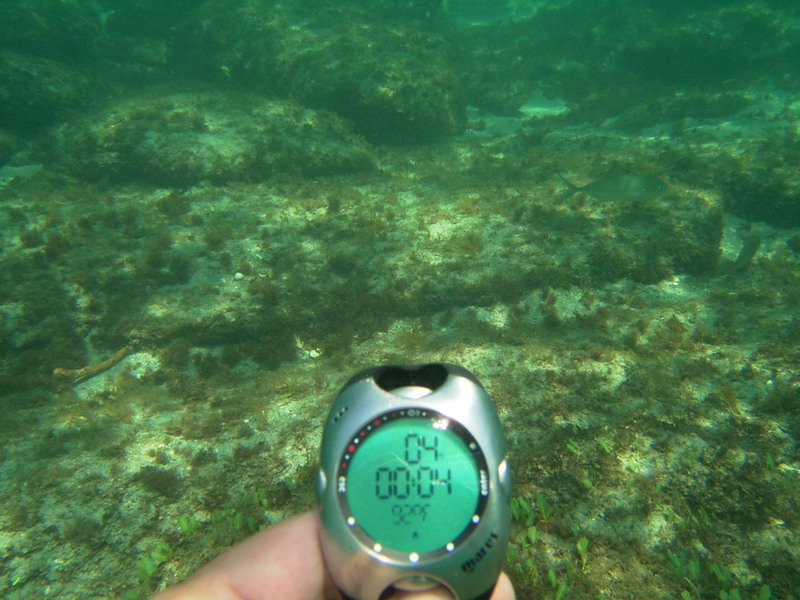 If you are a Florida Diver, you should get involved from the very beginning and help us to launch this conservation effort in Florida.Reef Check utilizes an indicator species methodology to check for reef and ocean health. This week will mark to first official training of Florida Diver’s for the Reef Check Tropical Diver certification. EarthRehab will become certified as a tropical eco-diver and I would like for you to join in the fun. Who is involved with the training? These two very well respected scientific divers will conduct the training at the Pro Dive offices in Ft. Lauderdale Beach. To sign up right now for Eco-diver Certification contact Genevieve Sparg at Pro Dive USA.